You're Invited! Patio Happy Hour With Guest Of A Guest At Mad Rose TOMORROW! 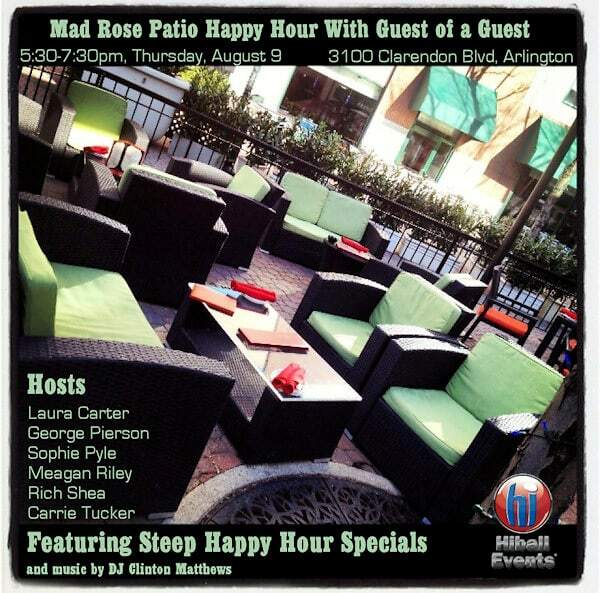 Come to Mad Rose in Arlington for steep happy hour specials*, music by DJ Clinton Matthews, and mingling outdoors on the patio! The party is going on rain or shine! If it rains, we will just play indoors. Dress to impress! We will have a Guest of a Guest photographer documenting all the fun. Special thanks to HiBall Events for coordinating this party! *We can't legally print the prices, but we promise they'll be good!